We continued our adventures in Middle-earth. 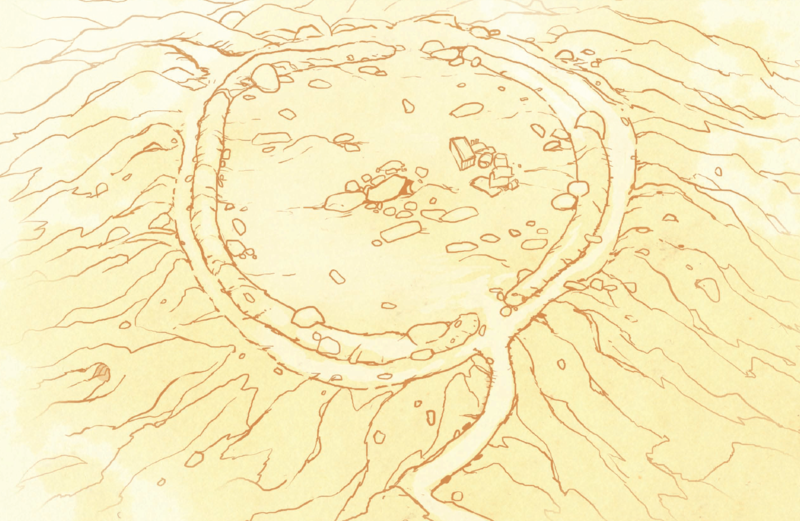 In the three months since our last adventure, the heroes were doing everything from fighting Orcs and building settlements, to starting Bardic performance circuits and making schemes to open lucrative trade routes. 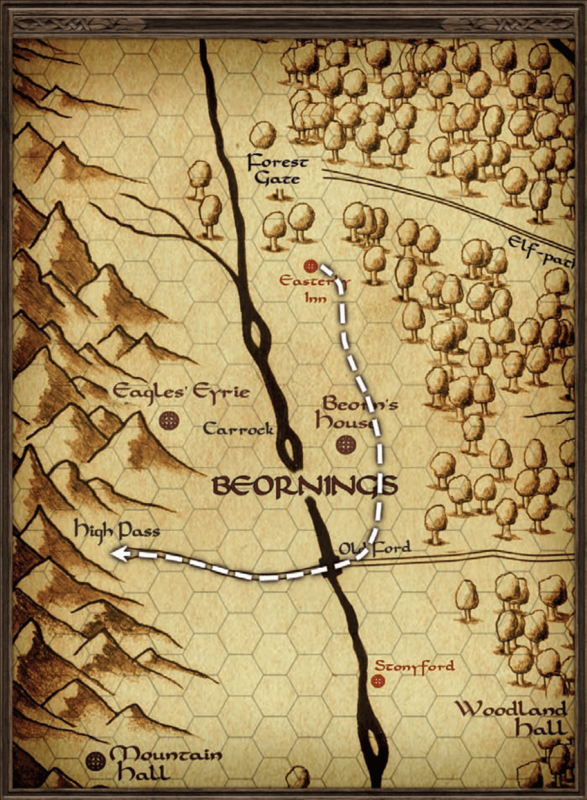 The heroes journeyed south, crossed the Anduin, and headed into the orc-infested mountains. Once there, as night fell, they spied a light in the distance. As the heroes forced marched through the darkness they found none other than Dindy Brandybuck and his companions, hunkered down in an old earth-works ringfort. The heroes arrived just in the nick of time since orc warhorns sounded and two dozen orcs and goblins attacked! Ain’t had nothing to eat for days! Sharp blades in a blackened sheath! Always polite and real well spoke! Bring the foe back home for dinner! Dwarves is tough and mostly beard. Elves are stringy and taste weird. Smoke it, cook it or eat it fresh! Put the Hobbit in the pot! Eat him up, we’ll have the lot! Bring him to the Goblin feast! After some heroics and several dead goblins and orcs, the heroes save not only Dindy but also Landana who (it turns out) had also been captured by the orcs! Barlamun was unconscious and dying by that point, but Landana’s healing powers revived the heroic bard, whose near-death bravery elicited eternal gratitude from the wood-elf. Barlamun and Landana subsequently ventured to Bree, Barlamun’s hometown, with plans to build a life together, free (they hope) from the influence of the domineering elf-king Thanduil.